Tired of replacing the batteries for the umbrella light that often? Feeling pity wasting money on the batteries? 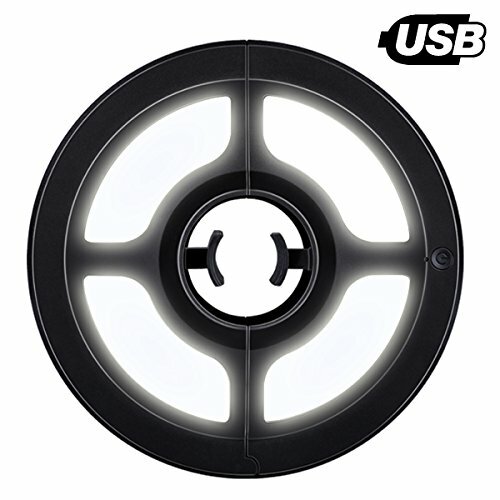 This upgraded rechargeable patio umbrella light is exactly the one you are looking for! ● With a charging port which is universal for AC Adapter, Computer,Power Bank and so on multiple charging way. ①Upgraded Rechargeable Version- 36 super bight LEDs are powered by 2 built-in environmental-friendly rechargeable batteries, matched USB cable. Free you away from replacing batteries. ②2 brightness Mode --Press once for super bright, press twice for bright.Suit your need for different brightness on different occasions. 1 years warranty included by OYOCO. ③Convenient --No need for extra tools, easy to clamp to your umbrella with the built-in auto adjustable strong clamp, fit pole size from 1.37 inch to 1.88 inch in diameter. ④Multiple functions--Suitable for camping, BBQ, playing CARDS, or lying on your leisure chair in the evening with your families or friends. ⑤Energy-saving and Bright-- With 36 energy-saving LED bulbs, led energy saving and environmental friendly.